I have wanted to interview Billy the Kid ever since billybuc began to write his stunning stories about his namesake. But the genuine Billy was impossible to locate. Now, finally – good news! I found Billy the Kid! With the use of my supernatural, aluminum-foil-enhanced ability to interview deceased, departed celebrities, as well as demised, defunct animals, here is what I have learned. me – How do you do, Billy, thank you for agreeing to this interview. Billy – No problem. It’s nice to know someone is interested. me – Billy the Kid has become a legend and yet there is so much conflicting evidence about his too short life. Billy – I’ll do my best to help you relate the true story. me – Thank you. First question: birthplace and date of birth? Billy – New York city on November 23, 1859.
me – What is your earliest memory of the Big Apple? Billy – The big what? me – You know, New York City? Billy – That term is not familiar. Billy never used it. me – Why do you refer to yourself as Billy … in the third person? Billy – The third what? me – You know … using the name, Billy … instead of the first person: I or me? 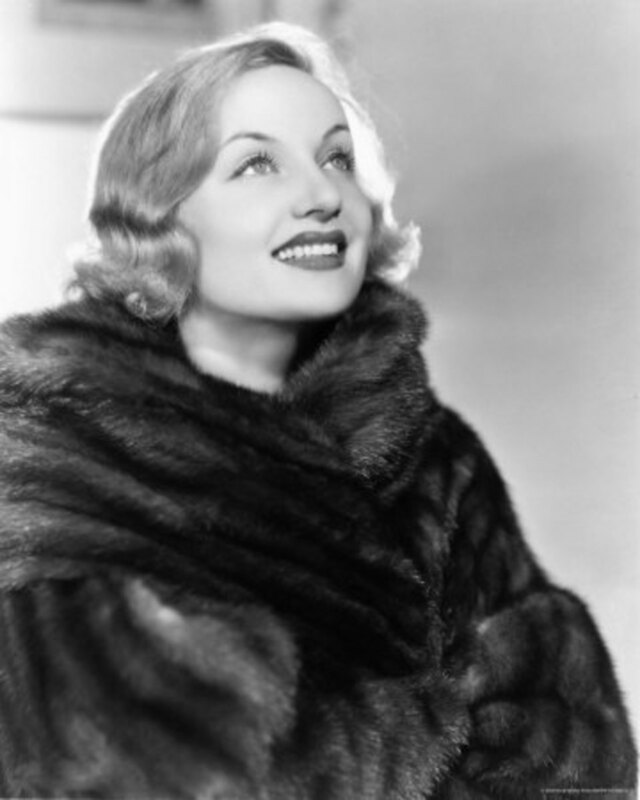 Billy – I have never been one to brag so the ‘third person,’ as you describe it, is much more comfortable. Do you mind? me – No problem. Describing Billy in the third person is fine with me. What was your … sorry, I forgot … What was Billy’s real name? Billy – Billy’s real name was William Henry McCarty, Jr. His mother, Catherine McCarty, divorced and remarried a man named William Antrim. Now there were two Williams in the family, so his mom started calling him Henry. His younger brother, Joseph, may have been a half-brother. me – Why did the family move west? Billy – For his mother's health. Kansas was the first stop, then Colorado and finally, Silver City in New Mexico. Billy’s step-dad spent most of his time gambling and prospecting … in that order. His mother took in boarders and sold homemade pies to earn money for the family. me – What was he like as he grew up? His only imperfection was two front teeth that slightly protruded. But he wasn’t a baaad kid – just mischievous. me – I know his mother died from tuberculosis when he was a teenager. Did his stepdad take responsibility for the two boys? Billy – No, his step-dad moved to Arizona and left the boys to fend for themselves. Billy and his brother were separated and bounced from one foster family to another. At the age of 14, he worked for a short time washing dishes and waiting tables in a restaurant. The manager was so impressed by Billy that he boasted he was the only kid who ever worked for him that didn't steal anything. Unfortunately, the Kid soon fell in with the wrong crowd. Billy – One of his buddies, an older kid named Sombrero Jack, stole some clothing from a Chinese laundryman named Ole Olsen and asked the Kid to hide the clothing for him. me – You knew I would have to ask … a Chinese dry cleaner named Ole Olsen? That’s when he became Ole Olsen. Billy – Yeah. Baaad joke, right? Anyway the Kid got caught and the County Sheriff put him in jail for a couple of days to scare him. me – That seems like a drastic penalty for a first offense – hiding stolen clothing. Billy – I think the Sheriff just wanted to teach him a lesson but the Kid was never the same again. He escaped from the jail by a Santa Claus technique. me – Which was …? Billy – The Kid climbed up the chimney. Then he stole a horse and rode away. Now he was a fugitive. ‘The Kid from Texas’ is a 1950 Western movie starring Audie Murphy as Billy the Kid and details his involvement in the Lincoln County War. Murphy was one of the most decorated American combat soldiers of World War II who received every military combat award for valor available from the U.S. Army as well as French and Belgian awards for heroism. At the age of 19, Murphy received the Medal of Honor after single-handedly holding off an entire company of German soldiers for an hour in France in January 1945.
me – Where did the Kid go next? Billy – He found his stepdad in Clifton, Arizona, who wanted nothing to do with him. The Kid found work as an itinerant ranch hand and met a horse thief, John Mackie, who taught him the tricks of the trade. The two were successful at first but after some close calls, arrest and escaping from custody, the Kid decided it would be wise to look for another occupation. me - The Kid seems to be exceptionally resourceful. Billy – You ain’t heard nothing yet. The Kid rounded up some stolen Army horses and returned them to clear himself. At the age of 16, he was hired as a civilian teamster at the Camp Grant Army Post. me – So now the Kid has his act together? Billy – For the moment. The camp blacksmith, Frank Cahill, enjoyed bullying him and one day after an argument threw him down on the ground and began slapping him in the face. The Kid retaliated by drawing his gun and shooting Cahill who died the next day. The Kid was put in the guardhouse to await the arrival of the local marshal. Before he arrived, the Kid had escaped. Now the Kid is a genuine outlaw facing murder charges who can’t find honest work. me – What did he do? Billy – He left Arizona and returned to New Mexico where me met another outlaw named Jesse Evans who was the leader of a gang of rustlers and gunfighters called ‘The Boys.’ The Kid joined the gang since it would have been suicide to remain alone in such a lawless territory. The Boys worked for a prominent rancher in Lincoln County named James Dolan who was involved in a feud with a competitor – another rancher and banker named John Tunstall. The Boys began stealing Tunstall’s cattle. Eventually the Kid was caught and put in jail. me – Not an auspicious turn of events for the Kid. Billy – Actually, it was. Tunstall noticed that the Kid wasn’t a rough and tumble sort – a baaad guy – like the other rustlers – just a teenager looking for a place to belong. me – Sounds like the Kid’s life may now become more normal. Billy – The Kid accepted Tunstall’s offer and changed his name to William H. Bonney. Tunstall’s plans for the Kid were never realized. In 1878, Tunstall was killed in cold blood by men deputized by Sheriff William Brady who had been appointed to his position by Dolan. Within a few months the feud between Dolan and Tunstall had escalated into violence that became known as the Lincoln County War. Governor Lewis ‘Lew’ Wallace completed his manuscript for ‘Ben-Hur,’ his best-selling novel in Santa Fe, while serving as the territorial Governor of New Mexico. By 1886, it was earning Wallace about $11,000 in annual royalties (equivalent to $290,000 in 2015 dollars). me – Who were ‘the Regulators’? The Regulators retaliated by gunning-down the deputies who killed the Kid’s mentor as well as the County Sheriff, William Brady, who was involved. Now they and the Kid were viewed as the baaad guys and warrants were issued for their arrests. me – Was the Kid arrested? Billy – Not yet. After a battle between the Regulators and the Dolan forces, the Kid escaped. 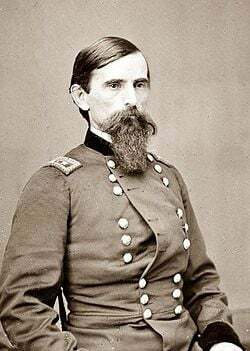 A new Territorial Governor had been sworn in – retired Union General Lew Wallace – who issued an amnesty proclamation pardoning anyone involved in the Lincoln County bloodshed. The Kid met with Wallace in person to discuss a deal. Would you believe he greeted the Governor with a Colt revolver on his hip and carrying a Winchester rifle? 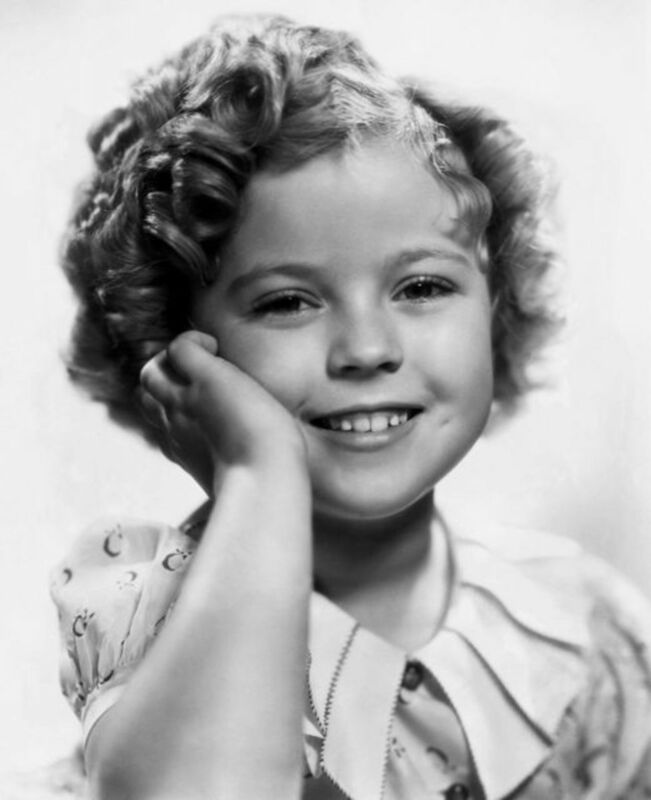 me – Did the Governor pardon the Kid? Billy – Not exactly. Part of the agreement was for the Kid to be jailed until the end of his courtroom testimony. But the District Attorney defied Wallace’s order to set him free after testifying. So the Kid who was a skilled escape artist by now simply slipped out of his handcuffs and fled. Billy the Kid holds the record for the most films, stage plays, radio and television productions about a single individual – 36 in all. me – When did Sheriff Pat Garrett meet the Kid? 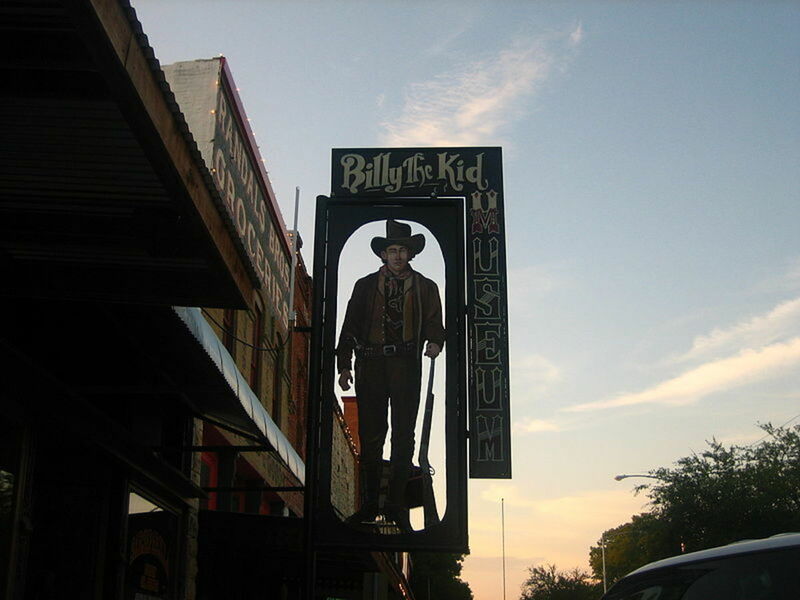 Billy – Pat Garrett was a cowboy when he first met the Kid at Fort Sumner, New Mexico in 1879. Garrett took a job as bartender at a saloon called Beaver Smith’s. Here’s the irony. In November 1880, Garrett was elected Lincoln County Sheriff and U.S. Marshal and given the task of apprehending the Kid who now had a substantial reward on his head. me – Where was the Kid? 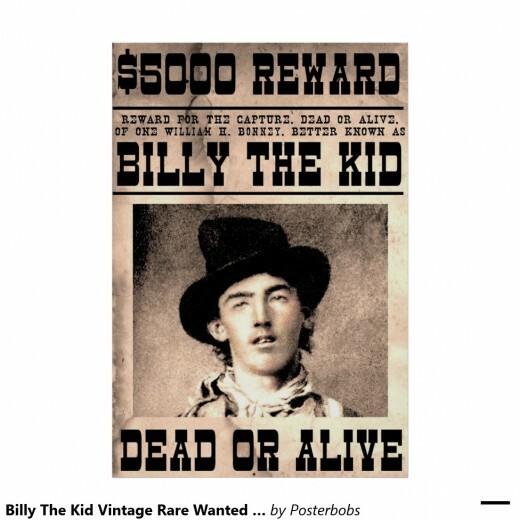 Billy – The Kid was on the run again rustling cattle and horses to survive. He learned that a gunslinger named Joe Grant had challenged him to a showdown. Grant was one of many who wanted to be known as the gunman who killed the Kid. The Kid casually walked into the bar where he could find Grant. As the story goes, he boldly walked up to him and admired his revolver and asked to examine it. Grant said okay. Before handing the pistol back (which contained only three shells), the Kid made sure that the next shot would fire on an empty chamber. me – When did Pat Garrett capture the Kid? me – I recall reading one time that there was speculation that Pat Garrett, so familiar with the Kid’s habits and hideouts, might have been a rustler himself or have ridden with the Kid. Billy – The usual. The Kid escaped two weeks before the scheduled execution in May, killing two guards in the process. He headed for the only place he knew as home: Fort Sumner. me – How did Pat Garrett find him? Billy – Garrett heard rumors that the Kid had returned to Fort Sumner. On July 14, 1881 Garrett and two deputies visited the home of Pete Maxwell, a friend of the Kid. It was almost midnight when the Kid unexpectedly entered the darkened bedroom where they sat talking. Because the room was dark, the Kid did not recognize Garrett and called out, ‘Quién es? Quién es? (Who is it?). Garrett recognized the Kid’s voice, drew his revolver and fired twice. The first bullet struck the Kid in the chest and he fell to the floor and died. He was twenty-one years old. me – Seems almost like an assassination to me. Billy – That’s what many people thought at the time. me – I want to thank you, Billy, for taking the time to give me all these details about the Kid. But I have to ask about two things that concern me. One – Why do you draw out the ‘a’ in bad when you pronounce it as ‘baaad’? Two – Why do you feel so much more comfortable about talking about the Kid in the third person? Billy – To answer your first question: I have what you might call a speech impediment. To answer the second question: When your transmission was received, my owner, Billy the Kid – the genuine Billy the Kid – was away in Las Vegas attending the annual World Series Poker Convention – he’s still a committed gambler. He asked me to act as his surrogate. Billy – Yes, I am the semi-genuine Billy the Kid … his pet goat. Baaaaaaaaaaaaa! Following Billy the Kid's death, writers began producing books and articles making a folk hero out of Billy the Kid, while making Pat Garrett seem like an assassin by comparison. Garrett attempted to counter by publishing a book of his own in 1882. 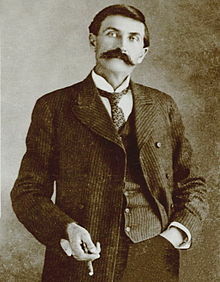 It was entitled 'The Authentic Life of Billy the Kid' and was largely ghost-written by Garrett's friend Marshall Ash Upson. A failure when released, an original copy of the Pat Garrett-Ash Upson book commands a fortune today. © Copyright BJ Rakow, Ph.D. 2015. All rights reserved. Author, "Much of What You Know about Job Search Just Ain't So." Utilizing my unbelievable supernatural powers to interview dead famous people and strange vegetables, I have now interviewed living farm animals. References: Brothers, Marcelle. About Billy the Kid. 2000 . . . Gardner, Mark Lee. To Hell on a Fast Horse: Billy the Kid and Pat Garrett. 2010 . . . Utley, Robert M. Billy the Kid: A Short and Violent Life. 1989. In A Blaze of Glory: Billy the Kid, Criminal or Misunderstood Hero? This is such a cool article. Learned a lot and I love the perspective you wrote from, so fun! Since you thought one of my favorite 'bad' puns was quite good, you are now one of my BFFs, Eldon. I thought the 'bad joke' was quite good. Sam Ting. Hi, Deanna. You are probably correct in your assumption that croquet may have been the most harmless game that Billy played. Delighted you enjoyed this historical revisit of his life. Happy Belated New Year, m'dear. I remember watching old moves of Billy The Kid. Love the photo of him playing crochet, must have been the most harmless activity known for him. Thanks for the history behind this fascinating character. Me, too, Say Yes. I practically grew up watching movies about Wyatt Earp, Doc Holliday, Billy, and the Jesse James gang. Thanks for stopping by. I have always found tales from rhe Old West interesting. You nailed it, Audrey. Truth often is much stranger and infinitely more interesting than fiction. Who knows what route Billy's life may have taken in a different time with two loving parents? Thanks for finding this info as interesting as I did. Larger than life--you know sometimes, when you get to the truth, it is more interesting than the larger than life stories--life was so harsh for these bandits really--very interesting! Yes, Ruby, it seems pore Billy was doomed from the start. Thanks for finding this interesting and fun to read. 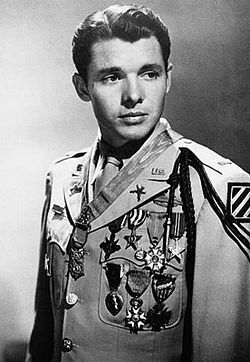 I agree - Audie Murphy was a cutie pie! May your Christmas be Merry and the New Year Happy and Healthy. Poor Billy, he didn't have a chance to make it in life. I feel sorry for him. I knew little about him before reading your excellent interview. You made it interesting and a fun read with your puns. Audie Murphy was a handsome dude. You are absolutely correct, Genna. The too short life of Billy the Kid has provoked so many stories, movies, plays, etc. that it is difficult to subtract fact from fiction. Delighted you enjoyed my version and the interactions between Billy and Pat Garrett. Truth is stranger than fiction. There have been a lot of tall stores told about the Kid, but your factual account/interview is far more interesting. Garrett was 6'5" and the Kid, 5'8". Seems these two fellers were at opposite ends of the spectrum in more ways than one. Excellent read, Drbj; I really enjoyed this. It is true, Martie, that never knowing his father and being rejected by his stepfather drove many of Billy the Kid's subsequent actions. And it is sad to see many youngsters in today's world who are neglected and/or ignored by their parents. The strange thing about Billy's life is that despite the fact that he is said to have killed 21 men (one for every year of his life), he is still seen as a sort of American 'hero' of the Old West. Shame! Being rejected by one's stepfather on top of the death of one's mother will uproot most children if not all. What a tragic (and short) life poor Billy have had! He never got the chance to be a nice and decent husband and father. We have so many 'Billy the Kids' in SA! Those horrible events during America's Wild West era is the order of the day down here! This is a sad interview. I feel like crying for all the Billy the Kids in this world. Hooroo, Jodah. So happy I could provide you with the real backstory on one of our most famous legends of the Old West. And delighted that I gotcha with the 'goat angle.' Makes it all worthwhile. Wow! "Wonderfully creative take ... on the legend" coming from you, one of my heroes, Larry? I am delighted you found this a pleasure, m'dear. Hi, Alicia, thanks for joining the party ... and for loving my surprise ending. After I wrote this epic, I thought maybe I had gone too far with a goat as the narrator. But your kind comment makes everything all right. Billy the Kid (both of them) and I wish you the happiest of holidays. Terrific interview drbj. 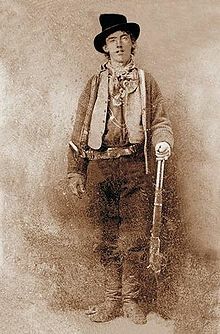 Billy the Kid has always been an intriguing character but I never knew a lot about him, now I do. Didn't see the goat angle coming. Well done. Hi, Bill. Re your comment, if we had just ONE Billy the Kid running Homeland Security, I would feel a great deal safer. Your were on the mark with that comment, m'dear. As for the mention, don't mention it. :) 'Twas my pleasure. Wonderfully creative take on the Billy the Kid legend. Always such a pleasure to see what you come up with next. This is very interesting and informative, drbj. I love the surprise ending! Well that was darned interesting. I didn't know most of that. We could use a few more Billy the Kids in Homeland Security....just sayin' :) Thanks for the mention.